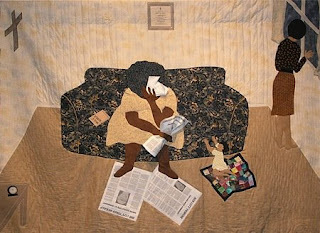 Further investigation has found pictures of these crazy controversial fabric arts by a woman named Gwen Magee. Sher stuff is amazing and very political. Wow some of those are crazy!